IPTP ERP & CRM is a subscription-based, scalable and easily expandable ecosystem consisting of both software and hardware and provided via the SaaS (Software as a Service) delivery platform. 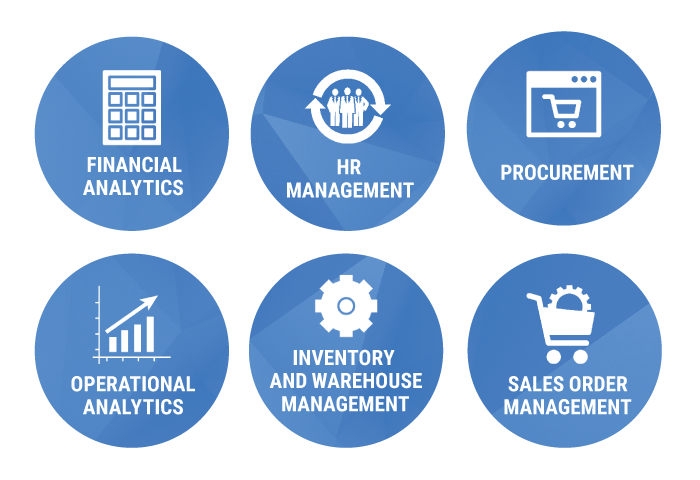 It performs a wide range of tasks from stocktaking to financial analytics, HR-management, sales order management and much more. The IPTP ERP & CRM system is a complex programming solution with over 540,000 source lines of code! The primary goal of our system is to organize your financial data in a way that provides complete understanding of how and where the money flows in your business processes and helps you to accurately plan your income for the near future. Fully automates the main business processes, significantly cutting costs, systematising your work tasks and marginalising human error. Deployment via SaaS and the subscription based nature allows you to avoid the additional costs involved in purchasing appropriate equipment, providing the most cost-effective way of supporting your corporate activities. Ensures swift operation of all your business processes: all ERP applications share information between each other seamlessly, enhancing your business with ease of access and minimized miss-communication as a result. Features ease of deployment and seamless integration with professional maintenance specifically tailored to your needs, all the while retaining the flexibility to accommodate your growth. Monitoring the work-schedule and availability of each employee can be done directly from the main interface allowing managers to plan and designate tasks easily and swiftly. The main page shows the work schedule of company employees and additional information on the current user that is displayed together with the number of hours worked per week. The information on employees that are not available is also displayed and a new document for Sick leave, Unemployment and etc. can be created in the Personal section. Telephony system includes each employee’s personal extension number which can be used in the registry on the IVR. The Registry allows to distribute duties between employees where each employee can take on a duty at the time of his/her shift. When duty is taken by the employee, he/she becomes responsible for replying to customer requests for a department that he works for (sales, technical support, accounting, logistics etc.) until his shift ends and/or the duty is taken by the next employee. This system helps to distribute duties, which in turn ensures that all the customers receive support – 24/7. This IPTP ERP & CRM feature allows for the tracking of settlements with customers and suppliers in an automatic mode, simplifying related processes and marginalizing human error. There is no need for an accountant to check balances or unpaid invoices – the system will send notifications to customers about delayed payments and display a report on those customers that were notified. A criteria for client selection can be configured manually, with an option to create a separate list of those clients for which exceptions can be made. The system is also designed to help its users to send automatically generated invoices for used receipts and services. 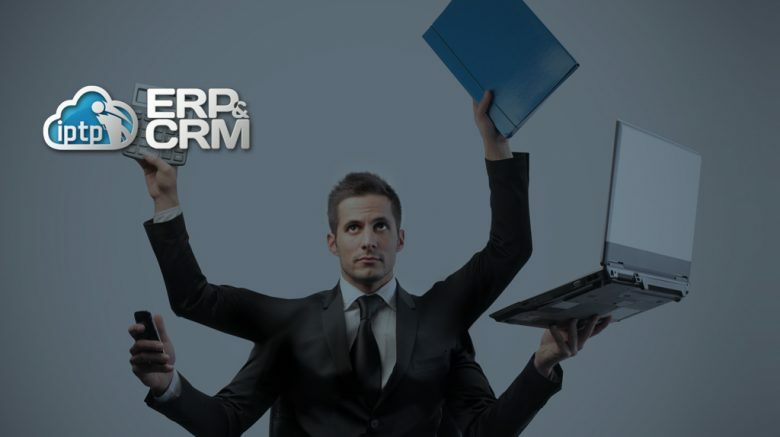 Creation of forms for customer services is a very convenient feature that helps organise all required information about customer orders and allows for flexible parameter configuration. The formation of service packages allows for the creation of custom-made combinations of options for any type of service and can be constructed based on any specifications. Package formation is designed in a way that allows for it to be customized, resulting in packages that would suit the individual requirements of every client. A set of integrated rules makes sure that all the information filled in is valid at all times. The completed form can be printed out or sent to a client, and a signed version can be attached as a file and stored in the system. Customer order forms can contain many kinds of different services. Every service can be fine tuned with an unlimited amount of so called Service Elements(SE). Service Elements are “smart” ERP objects which contains information about type or characteristic of service, such as geographic location, delivery option, specific type of hardware etc. 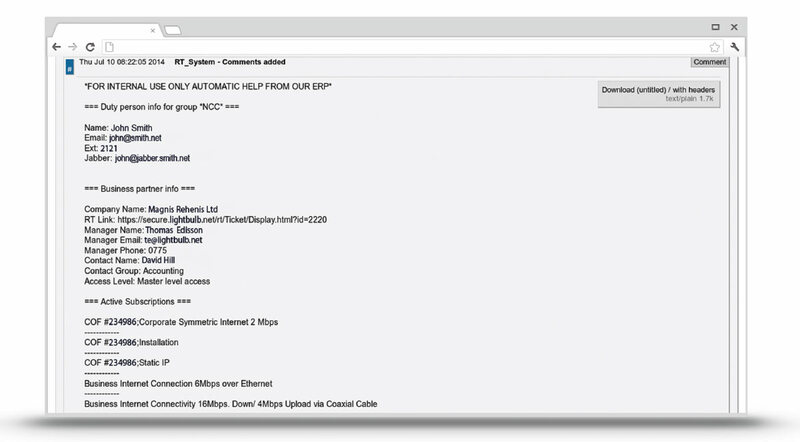 Input data of every service element can be selected individually. If there are any service elements not included here that you require, you can always define a new one! SEs can also be used to control specific services and to send notifications in cases where they might have been set incorrectly. This feature is designed to show the coherency of services and to establish their dependence on one another. This is particularly useful when it comes to combining services that can only be sold together. Parameters in the Service Compatibility Matrix can vary and combining individual services that are co-dependent allows for the formation of finalized, more complex packages which are ready to be sold. IPTP ERP & CRM operates on an open API (Application Programming Interface) which means that all the ERP features can be integrated with any third party system, allowing for data to be exchanged seamlessly and to be accessed both ways, resulting in a single, unified information system. ERP is a central structure that can interact with both the RT(Request Tracking) system and Cacti. Client account information can be accessed directly from Cacti with no need to create a separate account for the ERP system. 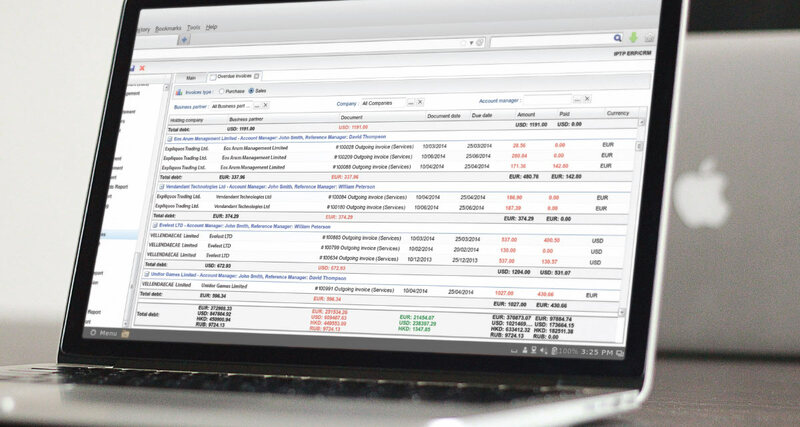 Integration of the ERP system with the RT system allows employees to gain information on clients the moment they receive a request. All the client has to do is log into Cacti, go into the required ERP section and he will be able to view and modify all the necessary information. 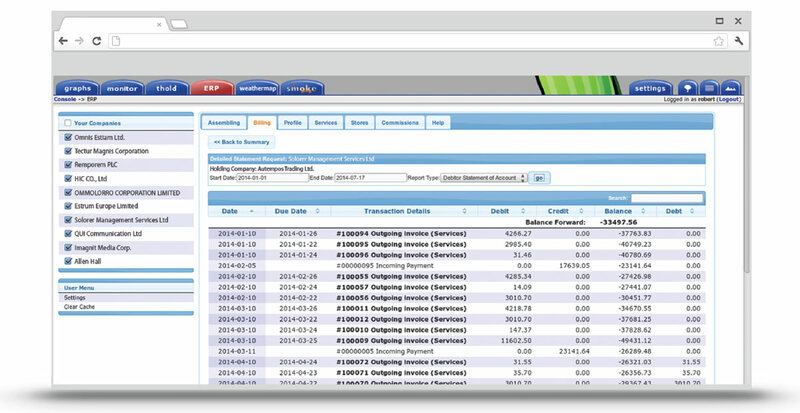 You can also export data to accounting software.